The weather has definitely taken a turn for the better! It’s hard to believe that we had snow only a few short weeks ago when the sun is this warm and gorgeous. And while backyard pools may be opening, most outdoor aquatic activities are still on hold for a little bit longer – except for one! In one week today, on Saturday, May 16 the City of London spray pads open for the season! Spray pads are fun places for kids to get wet, play, splash, and be silly without standing water and all of the risks that come with it. They are elaborate sprinkler systems! With the touch of a button, water will spray, drip, dump, shoot, pour, and jet out of various areas in rotation. The spray pads are suitable for all ages (with supervision!) and can be accessed by all. Spray pads are slowly beginning to replace a lot of the wading pools within the city because they use less water to operate (used on demand vs filled daily) and do not require a lifeguard. 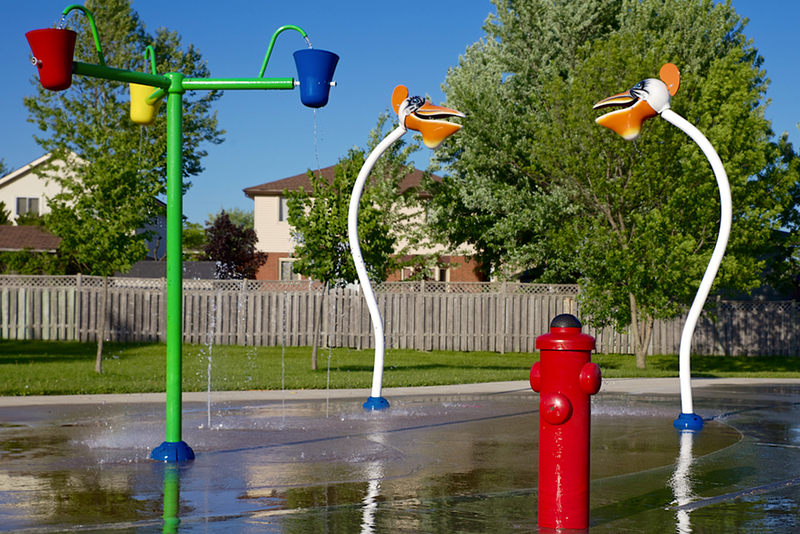 Spray pads are FREE and will operate from 9:00am to 9:00pm daily until Labour Day weekend. There are 12 city operated spray pads which can be seen on a map HERE. This entry was posted in Best of London Ontario, Freebies, Opening Soon, Radar, Recreation, Seasonal, Sports & Play and tagged City of London Aquatics, opening soon, pool, Splash pad, spray pad, swimming, water.